Make Transmission Line Construction Difficulties Fly Away. In the rugged Hawaiian Islands, transmission line construction and inspections can be a challenge. Arranging a helicopter service to help is an easy solution, and at FairLifts we have access to a worldwide network of experienced helicopter services with the equipment and skilled pilots needed for Hawaii transmission line construction. Whether hauling personnel, equipment and supplies to job sites, or actually performing the work - placing towers, stringing wire, etc. - a helicopter can handle the most challenging of transmission line jobs. 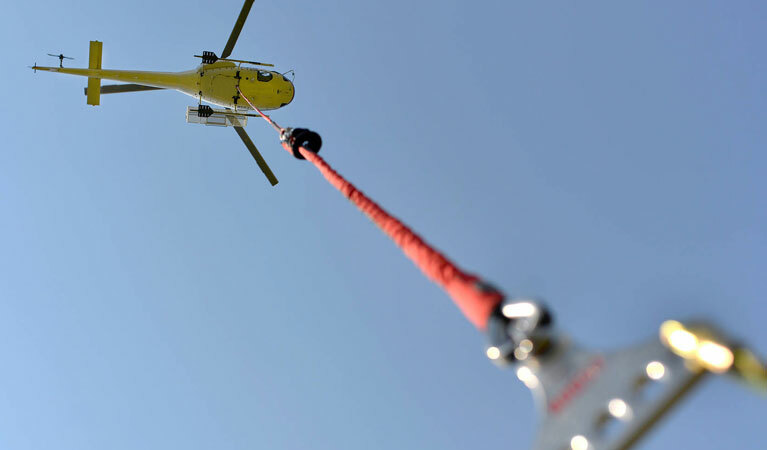 FairLifts can arrange expert helicopter services for any job on the islands. The Hawaiian Islands are known as a Pacific paradise for good reason, the rugged interior, sandy beaches, stunning cliffs and tropical rain forests are a vacationer’s dream, but an infrastructure crew’s nightmare. Constructing, upgrading and maintaining the islands’ transmission grid is a full-time job, and experienced helicopter service can help. Easily accessing remote or distant areas, able to haul and deliver anything a job requires, helicopters can assist in line stringing, tower placements, site prep work or storm damage assessments. Complete Helicopter Transmission Line Construction and Maintenance Booking Services. Utilizing helicopters to increase efficiency for transmission line projects is easy, but sometimes the details are complicated. Our experts are always standing by to talk about your specific needs and discuss the best possible solutions. Put the muscle of helicopters to use hauling massive equipment or supplies, or assisting site-clearing missions. Need some equipment in a hard-to-reach spot? A heavy lift helicopter bypasses the need for roads, which can be handy in a place like Hawaii. Helicopters can significantly increase efficiency in transmission wire stringing projects. 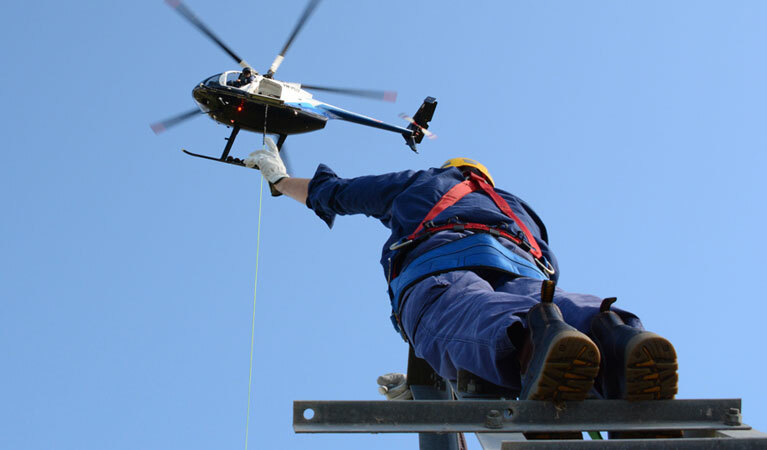 Able to string wire over waterways, wetlands, protected forests or other restricted or hard-to-access areas, helicopters can haul in all the wire, personnel and equipment needed for the job, alleviating the need for ground support. Use a helicopter’s combination of power and precision to transport and install utility poles, alleviating the need for major ground equipment. Helicopters can even haul in installation crews and other equipment to put up poles in remote areas, making the job much faster and easier. Hawaii’s lush and varied grounds make transmission line maintenance and inspection extremely challenging by conventional methods. A helicopter is able to fly low and slow, carry thermal, infrared and video equipment as well as personnel to inspect lines, towers, right-of-way areas fast and easy. Alleviate the need for dangerous and time-consuming climbing crews to help cut back Hawaii’s lush vegetation. Today, helicopters equipped with special saws can cut back infringing brush and vegetation in very little time, regardless of terrain. It’s the safest, fastest most efficient way to do the job. 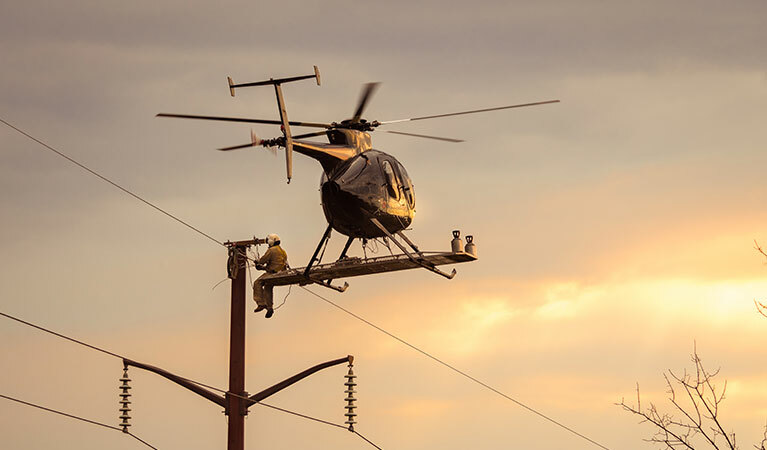 Helicopters can greatly ease logistical headaches in any transmission line construction or repair situation. Easily and quickly flying personnel, equipment or supplies directly to the job site can be priceless, especially in making emergency repairs after storms or reaching Hawaii’s remote or rugged terrain. Getting Transmission Line Construction Projects Off the Ground. Complete, Hassle-Free Booking Services. Contact our friendly experts today about how helicopters can be a key asset in any transmission line construction or maintenance team. Get advice, price points and/or complete booking services. We’ll take care of all the details so you don’t have to.